Ezt a terméket eddig 776 alkalommal vásárolták meg! 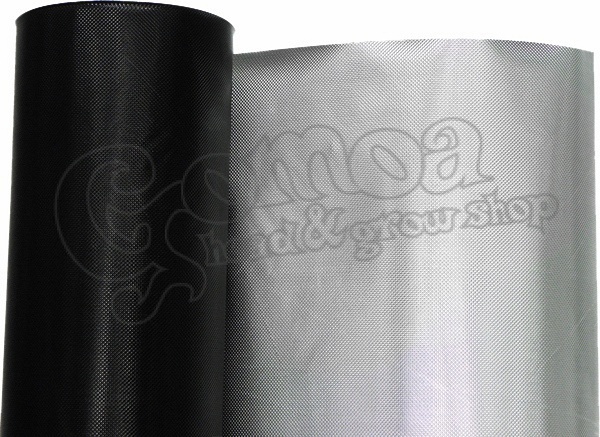 • The reflective sheeting offers you the highest quality option for growers who want maximum yield from their plants. • It is the only reflective sheeting that has Encapsulated Metal Protection (EMP) achieved through an advanced laminate bonding technology exclusive to the range. • The reflective metal layer is sandwiched behind a clear protective PET film that gives protection against damage and corrosion from heat, humidity, moisture and handling. We cut to the desired length. The price is for one meter.